Heavy foot traffic, improper installation or poor quality--whatever the cause of your split carpet seam, the repair calls for minimal skills and tools. You can have those curled-up edges tacked down in no time-- without the cost of a service call. 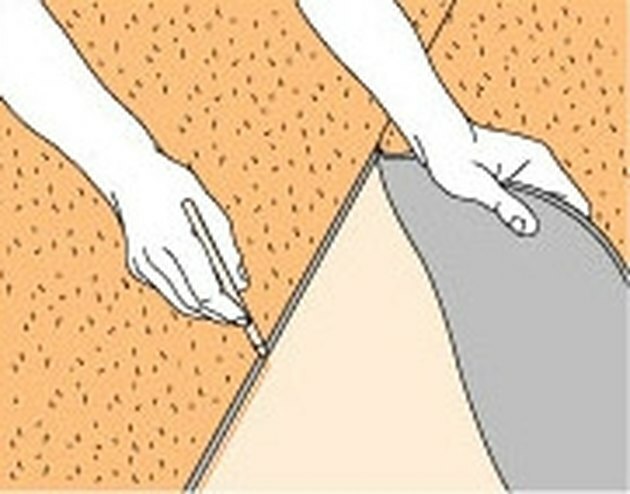 Measure the length of the split seam. Cut carpet tape (available at hardware and home supply stores) to fit. Pull back one edge of the carpet. Using a pencil, draw a line on the floor along the edge where the other part of the carpet meets the floor (see A). This will determine the center point where you'll place the tape. Pull back both edges of the carpet to make room for the tape. 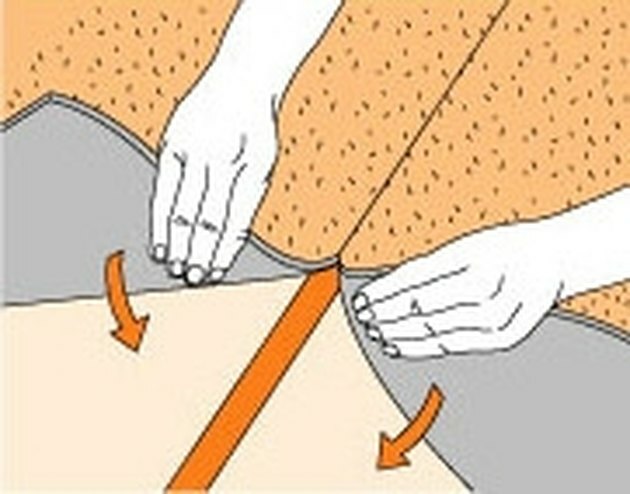 Remove the tack paper from both sides of the carpet tape. Center the tape over the pencil line, then lay the tape on the floor (see B). Get help for this one if you can; it's easier to apply the tape if someone holds up one of the carpet edges for you. Slowly roll down the carpet on the tape, making sure the carpet's edges meet. Walk on the taped area or place a heavy object over it.